Tulle & Combat Boots: professional lookin'. 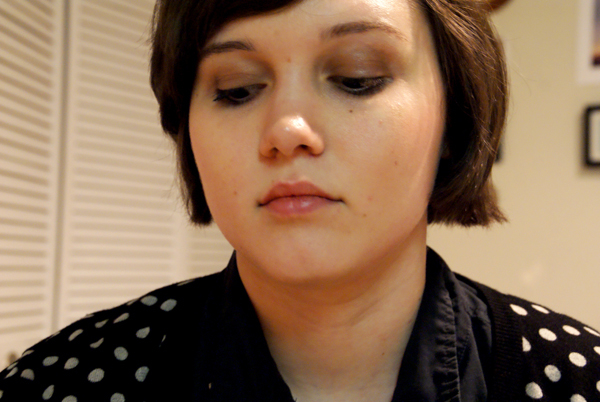 Oh hey, I finally got my hair cut! Feels good man. 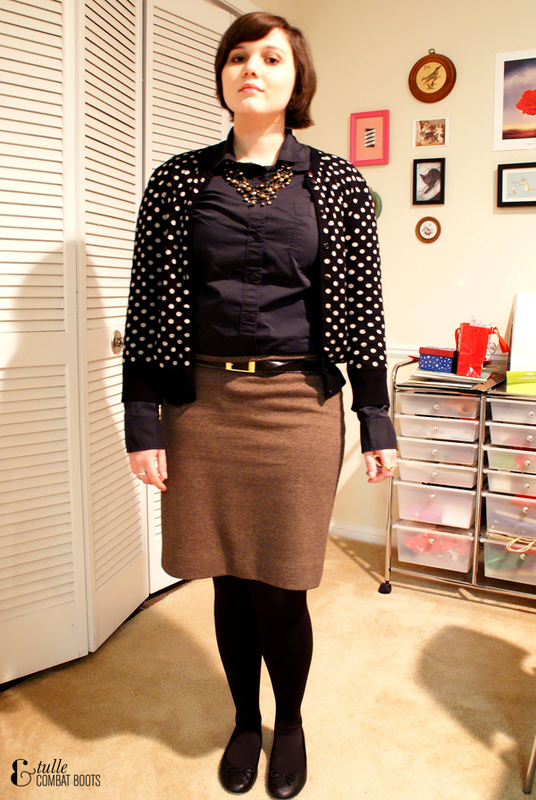 It's highly likely I've worn a similar variation of this outfit before but this cardigan just goes so well with this skirt (and it's a subtle pattern mix). 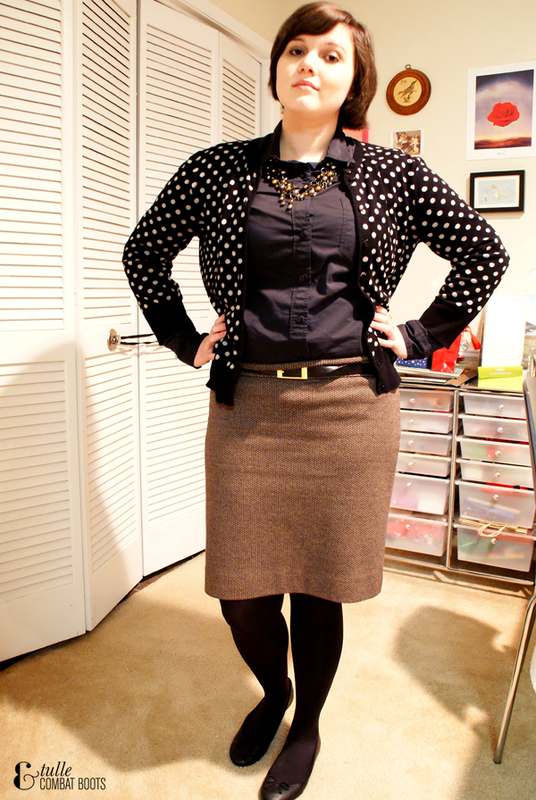 Pencil skirt + button down + cardigan = instant professional look. Also this isn't a great photo of my makeup but I got the Too Faced Chocolate Bar palette for Christmas and ermagerd it's amazing. And it smells like chocolate. You really can't beat that.